There are a lot of safety glasses to choose from. 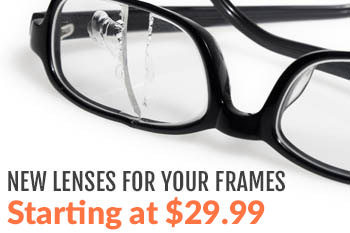 What separates Wiley X from the pack is its variety of high-grade safety frames. With all the brands of safety glasses out there today, it’s easy to get overwhelmed by the giant array of brand names, let alone styles, to browse through. Wiley X Eyewear has done a marvelous job of creating a line of safety glasses, sunglasses, and frames for prescription safety glasses that suits the needs of most people who need safety. Their frames are rugged, their lenses and coatings are fine-tuned to specific uses, and their safety ratings are some of the best. If you are in the market for prescription safety glasses, prescription sunglasses, or non-prescription safety eyewear, it’s a great idea to check out Wiley X Eyewear. Their products are broken into several lines, each of which is suited to a particular use or set of uses. They’re rugged. No matter whether you’re shopping for glasses to save your eyes from shrapnel or to simply help you see the water more clearly as you’re fishing, you can count on Wiley X glasses to last. They’re versatile. All of Wiley X’s glasses are ANSI Z87-approved, and they all look good. 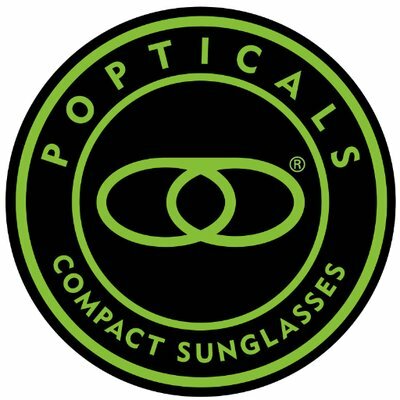 You can show up to work wearing your favorite sunglasses because they also happen to be your favorite pair of safety glasses. They look great. Every year, Wiley X does away with some of the older or unpopular styles and releases new styles into most of the brand’s lines. They keep up with the trends in style and fashion, making safety glasses that you can show off… or show yourself off in. Climate Control. The Wiley X Climate Control series features eyewear that is designed to keep wind, dust, and debris from being able to get under your lenses and into your eyes. They have a removable facial cavity seal (foam gasket) that encloses your eyes behind the lenses while still allowing air to pass through so your eyes can breathe and your lenses don’t fog. These are perfect for motorcycle riding, woodworking, metal working, and other times when particles may be able to get under your lens. They keep the sweat out of your eyes, too. Active. The Wiley X Active series features eyewear that looks great and performs well under pressure. The active line is designed to grip to your face tightly so you don’t have to worry about your safety glasses coming off during hard work or sports. Changeable. The Wiley X Changeable series comes with removable lenses (in non-prescription) so you can go from clear to dark or contrast-enhancing lenses. This makes this series the most versatile. Goggle. The Goggle series is great for extreme sports and safety situations where you need a helmet. This series features BMX, Motocross, and military ballistics goggles for times when you simply cannot afford the possibility of your eyewear coming off. Street. This line is geared the most towards style, but don’t let that fool you. They’re all ANSI Z87 approved safety glasses. These are the best for general safety glasses and sunglasses, and you’ll find some cool stuff here geared towards fishing, driving, and fashion. There are a lot of Wiley’s. The great thing about Wiley X is how it’s organized. You can find exactly what you’re looking for without wading through hundreds of styles; just choose the series that’s appropriate to your need and start shopping. 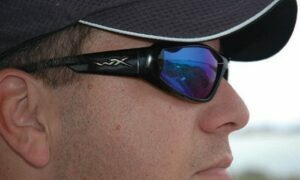 Wiley X Eyewear is also one of our most popular lines and, more than any other brand, we consistently see customers coming back years later and ordering Wiley X’s again. If you’re in the market for prescription safety glasses or eyewear suited to a specific use, take a look at Wiley X. The selection here has something for everyone. You won’t be disappointed.